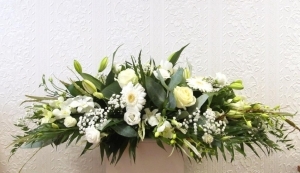 With over 15 years experience within the industry, Floral Designer John Paul is one of Irelands leading Florists. He has worked extensively throughout Ireland and the UK both as a Floral Designer and as a tutor & demonstrator. John Paul is now based in Derry ~ Londonderry, Northern Ireland where he has opened his studio. 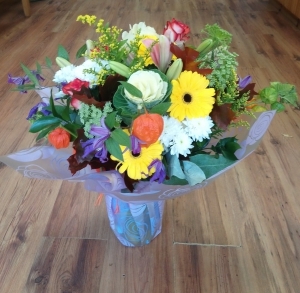 John Paul specialises in high quality flowers and arrangements using the best seasonal flowers and foliage available. John Paul's shop is located on Great James Street in Derry city centre. 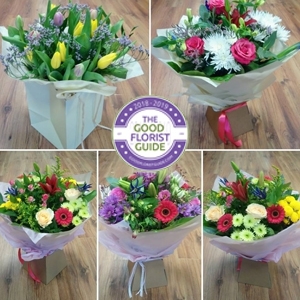 Order flowers online from John Paul for delivery within the Derry ~ Londonderry area, postcodes BT48 & BT47 inc Altnagelvin Hospital. Excellent florist. Will use time and again. Great service. 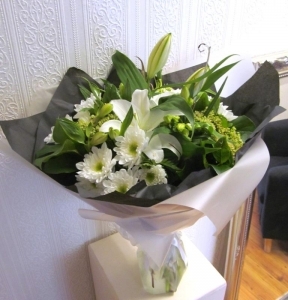 Ordered some flowers online, they arrived as agreed and looked beautiful - even better than the photos on the website. Thank you, guys, for making a mom very happy. Same as my customer service review. John Paul always provides fantastic bouquets. Living in London I have used John Paul for a good few years now for family and friends at home and and I'm always happy with the results. First rate service, generous amount of flowers and well presented. Very happy customer and recipient.. Will certainly use again. Easy to use website and a quality product offered. 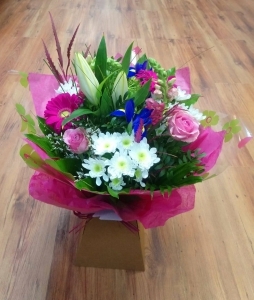 Have used John Paul florist several times to deliver flowers to my family in Derry. Always more than happy with them - their flowers are so beautiful and arranged so well. And always delivered on time. Would highly recommend! Excellent service, beautiful flowers. Thank you very much. Thank you so much for the beautiful flowers you sent. 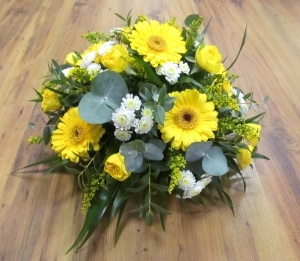 It was so easy for me here in New Zealand to organize flowers to be delivered to a much loved relation in Londonderry. Great service and very much appreciated! My mum was over the moon with her flowers they were beautiful. I was very impressed with the speedy delivery thankyou John Pauls I would highly recomed your service. The flowers were very fresh and were delivered very promptly. Would definitely order from him again. Although I personally didn't get to see the flowers that I ordered as I live miles away, I was told that they were beautiful, so thank-you very much. I would definitely order from you again. Ordered online for an event I couldn't attend. The recipient, my Aunt, loved the bouquet!! Everyone said the flowers were gorgeous - huge &amp; tall which is what I hoped for- I wanted her to have a great 'armful' of beauty!! Delighted w/John Paul Florists &amp; thank you for a job v well done!! E. Cunningham. Flowers ordered not ones sent. As always - flowers delivered as requested and Sister very happy - says they are 'beautiful' . Never disappointed, use John Paul for all my special occasions since I always got messed around by interflora shops. Flowers are stunning and excellent quality. 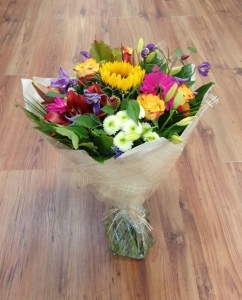 Recipient was deighted with her flowers,She loved the freshness and colour chosen by the flowerist. Will happily use John Paul in future. As far as I have been told, flowers ordered were beautiful. Were delivered very fast. No problems here. Thank you! Very very pleased with product. Excellent service beautiful flowers. Would highly redommend. I didn't see the flowers I sent but the recipient said they were beautiful. Always my go to for mothers day flowers, perfect! Beautiful arrangement arrived for my mother - she absolutely loved them. So easy and hassle free. I send flowers to my girlfriend as a supersize and she loved them. Very good job. Will use again. Hard for me to say as I did not see the product. 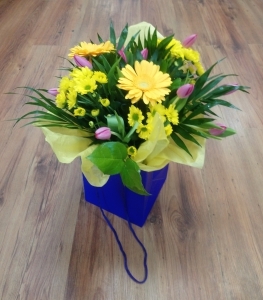 The person who received the product though were very pleased and commented on the quality of the flowers! Beautiful bouquet. Mum loved it !! 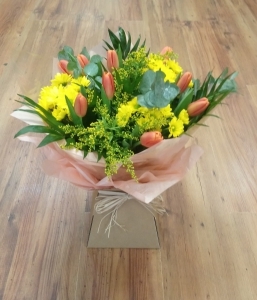 I ordered at 7pm in the evening and flowers where delivered around 2:20Pm the following day, I had requested an am delivery (not sure this was realistic given the time i placed the order)and made enquiries about delivery time the following day. i received a prompt email in response. I would Use this florist in the future as good customer service is provided and website is very easy to use. I have yet to receive a report on the flowers sent hence the 4 stars. Beautiful flowers, very helpful and extremely prompt service. Will be using again! The florist was fantastic. delivery was punctual, speedy and very reliable. The basket of flowers was really stunning, full of plenty of complimentary colours which really looked stunning. Gorgeous flowers and brilliant service. Have sent flowers through this service twice now and will definitely be using again. Thanks. Thank you for the most reliable service. Perfect flowers as usual, I'll never order from anyone else in town! Mum loved them, and the roses have lasted all week, to say I'm pleased is an understatement. Prompt delivery, and special requests fulfilled. THANK YOU AGAIN! Very quick delivery - impressed! Just a bit late on delivery however I blame myself for the late order. When delivered the recipient was well pleased. Many Thanks. 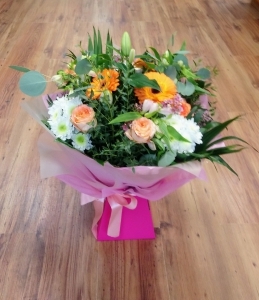 Fresh flowers and very well presented - a great buy! Great; wonderful flowers and very impressive service. Will certainly use again. Beautiful flowers delivered on time ! Thank you. John Paul, Roy and staff deliver an excellent service! They are both helpful and polite, and their floral creativity cannot be matched....I will avail of them again & again. I am told the flowers are lovely and they were delivered as instructed. Good value and reliable. I will be using this service again. Delivered within hours and a happy recipient! Delivered on time for a special friends birthday and the response was 'I love them'. Well done. Beautiful flowers & lots of! Great service and communication, easy transaction. The flowers were beautiful, thankyou very much!!!! GREAT SERVICE I WILL USE YOU COMPANY AGAIN THANKS !!!!!! Excellent service quick and easy, best I've used. Very fast, great service thank you again. 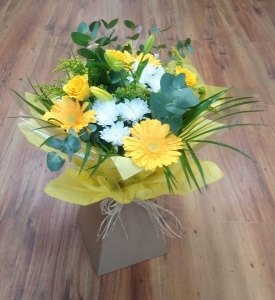 A lovely bouquet in whites and yellows perfect for Easter. A classic vase arrangement of beautiful Roses and seasonal foliage. A glass vase of seasonal flowers, delivered in a gift bag. Glass vase full of seasonal flower & foliage. 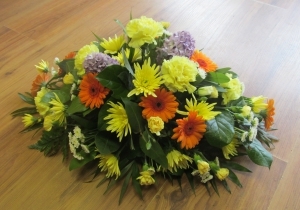 All round Posy arrangement for funeral or sympathy.